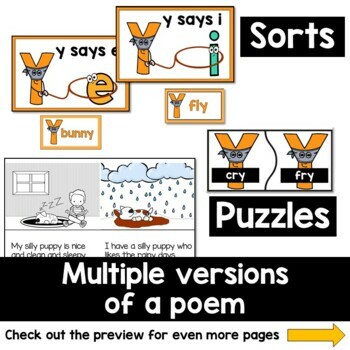 Practice the Long E and Long I Vowel sounds made by the letter Y with this set of centers and activities. Students will meet "Bandit Y" and identify what sound he makes when he steals the sounds of E and I. 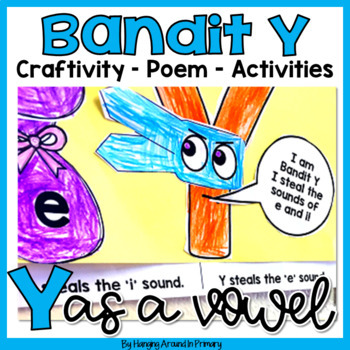 Your students will love Bandit Y and he will really help them to remember that tricky vowel sound with e/i. 8 Short A Literacy Centers! 8 Short E Literacy Centers! 8 Short I Literacy Centers! 8 Short O Literacy Centers! 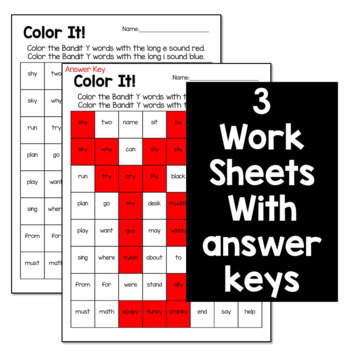 8 Short U Literacy Centers!. Be the first to know about my new products and freebies! Look for the green star near my store name and click it to become a follower. You will receive customized e-mail updates about my store! 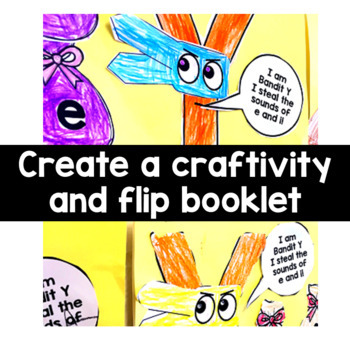 Connect with me via social media and my blog to see how I use my products in my own classroom!